I have always felt ambivalent about the whole concept of newsletters. It's kind of a 'yay!' mixed with an 'are you really sure?' feeling. Even though everyone on my mailing list has willingly signed up (and I'm super grateful! ), every time I've clicked 'send', the thought 'perhaps I'm being too invasive' has lurked in the background. After all, a newsletter goes directly to someone's inbox. Inboxes are generally overcrowded and chock full of messages and important mails that require attention. In that context, a newsletter – even a desired newsletter that was willingly signed up for – might seem dangerously close to spam. And even though it is not very often I get an 'unsubscribe' notification, I've been very erratic with my newsletters. A conversation with a newsletter-savvy colleague last Fall made me start looking at newsletters in a completely different light. We were attending this conference and chatting about all things cosmetics when the subject of newsletters came into the conversation and I happened to mention my ambivalence to my own newsletters. She wisely pointed out that people who bother to sign up for a newsletter are actually interested in keeping in touch. She also explained that some people prefer getting the latest in their inbox instead of having to go looking for it. Even though this was mentioned in a completely matter-of-fact way, that short conversation became an AHA moment for me. Every one of the folks who have signed up are actually interested in hearing about what I'm up to. How flattering and how incredibly nice is that! So, Do Something Nice Back! Armed with this newsletter revelation, I've been using this past holiday period to do some cleaning up, a design overhaul, and work on some new ideas that I am a little excited about sharing with you fabulously loyal newsletter subscribers. The new look has already gotten a lot of love. Yay! So many subscribers have sent me lovely and encouraging comments. And to show my appreciation, we're going to be getting a little more up close and personal with newsletter content - things that won't be available anywhere else. Since you've already demonstrated you're willing to allow me a spot in your inbox, I plan on giving you my best insider news, tips, and exclusives. Fabulous! It's absolutely free and you can visit this page to sign up. I can't wait to keep you in the loop! 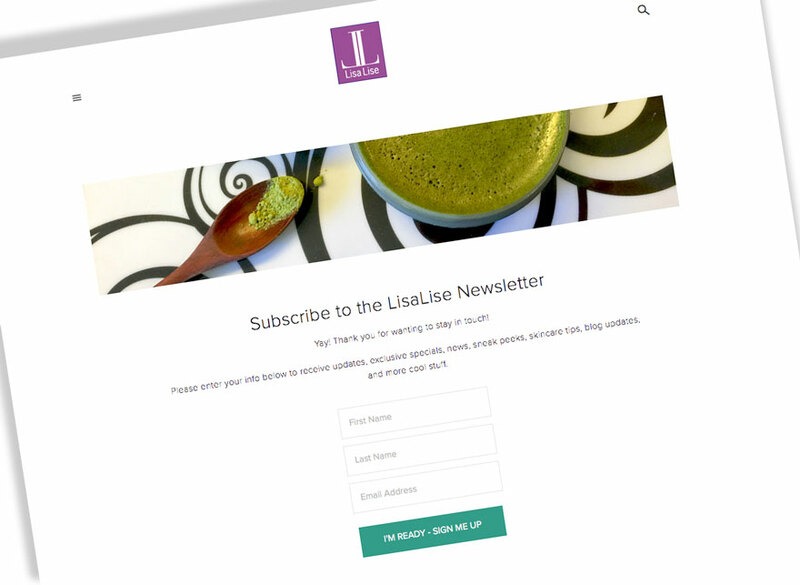 Do you have a newsletter for your business? Are you ambivalent about sending them out? How often do you share something with your subscribers? I would totally be so sad if your newsletters didn’t come to my mailbox! So so you know, I look forward to each and every one of them. @JNC - You are such a treasure! Thank you for sticking around for so long! Sending you a big old hug all the way from Copenhagen! I am having trouble signing up for your newsletter. I am not getting the follow up e-mail after I sign up. However, I do get all your blog info. BTW - keep rocking on! Your blog has helped me think through some of the science I am working with. You are very much appreciated! sorry you’re having trouble signing up and am now on my way to see if there are any glitches in my system! I appreciate your taking the time to let me know about this!